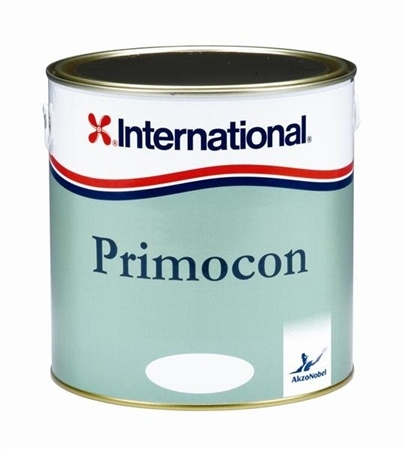 International Primocon is a tar-free, fast drying normal primer for all substrates underwater. It is also suitable as a barrier/sealer coat over incompatible or unknown antifouling. Primocon prevents leaching of TBT from an underlying antifouling coating, provided it is applied at a minimum dry film thickness of 80 microns (minimum 2 coats by roller) & that the film remains intact. Available in Grey only. Substrates: Aluminium, GRP/FRP, Lead, Steel, Wood, Carbon Fibre, Cast Iron. Works very well when touching up areas of antifouling that have peeled off. Once the area is sanded (feathered in) and Primocon applied,I never have any problem with that area again.